On Thursday afternoon I watched as two of the children from St. Mary’s School, stood here in church during a Year 5 Act of Worship and drew faces on a piece of black card, with toothpaste. Their teacher made it into a bit of a race, but I was as mystified as the kids as to what the purpose of this strange activity was. Until that is, he asked them to try and get the toothpaste back in the tubes! Of course, the children couldn’t do it, and there was considerable hilarity all round. The key word for the last couple of weeks in school has been RESPONSIBILITY and the point was made that once we’ve said, or done, something, we have to take responsibility for the consequences, whether or not we did or said that thing deliberately. It’s a tough lesson in life isn’t it? Whatever we choose to say or do in our lives, however minor, will have consequences for which we have to take responsibility. A lot of the time, things go smoothly. Sometimes however, we make wrong decisions, either because we simply haven’t thought things through for ourselves in the heat of the moment, or perhaps because we’re scared of the consequences of all the possible options, or perhaps we deliberately decide on something to avoid the embarrassment factor of having to admit that perhaps a decision we made in the past was the wrong one. There are in fact lots of reasons for making the wrong decisions, but the chief priests and elders of Israel seemingly manage to notch up several of them all at once in our Gospel reading this morning. They are all out to get Jesus to state unequivocally that he is the Messiah, but they don’t want to raise the question directly. After all, Jesus has just had the nerve to make it look like he thinks the Temple is his, by turning over the tables, throwing out the money changers and sacrifice sellers, and firmly quoting scripture: “my house shall be called a house of prayer”. It’s a provocative act, and it inspires the chief priests and elders to try and get this upstart from Galilee to blaspheme in the way that others have done before him, by declaring himself to be the Messiah, God’s long-awaited, and chosen means of drawing people to himself. Trying to trick people into declaring a particular stance that you want to be theirs, is rarely a good way of moving a conversation forward, as the leaders of Israel discover, when Jesus carefully uses one of their own, long-held, rabbinic forms of debate to try and get them to think through and declare the answer for themselves. Then, by dodging that responsibility and taking the route of diplomatic uncertainty, rather than offering their own viewpoint honestly, they forfeit their own right to a straight answer to the original question. It’s not that they’re stupid, it’s an act of self preservation: they don’t fancy being lynched. Equally, they don’t want to suggest that John the Baptist was divinely inspired to baptise people, including this Jesus, because that leaves the door open to the possibility that he is exactly what they don’t want him to be, but they do want him to claim he is. If he were the Messiah, God’s anointed, it not only places him in authority over them, but it rather puts them out of a job with regard to the Temple! One could say they are jealously guarding their existing rights and ways of operating, and that’s an unhelpful motivation in anyone. In the parable that Jesus goes on to tell, pointedly directed at the priests and elders themselves, what counts is not what we promise, but our performance, and for this we have to take personal responsibility. Jesus even gives them the answer to their original, unspoken question in a roundabout way, by pointing out that they have failed to recognise and acknowledge God’s saving action towards all people, including, and particularly the outcasts of their society. The point is of course that if the chief priests and elders had themselves believed that the baptism John offered was divinely inspired and directed, they would also be accepting of Jesus as the Messiah. It’s not like their scriptures didn’t show that God had clearly and repeatedly asked them to take responsibility for their own misguided understandings in the past, including a tendency to blame God for their own mistakes. Our reading from Ezekiel (18:31) shows this as they are as to get themselves ‘a new heart and a new spirit’. Generations of leaders had it seems failed to learn from their own mistakes. It was a theme which is warmed to in our Epistle this morning too, as the early Christian community in Philippi are exhorted to ‘work out their own salvation with fear and trembling’ (Phil 2:12), to take seriously their own spiritual inadequacies! Just like the chief priests and elders of Israel and these early Christians, we all do it, sadly. We all would prefer to avoid the responsibility of thinking for ourselves, taking the consequences for our actions, making our actions live up to our words, and making our daily lives live up the Christian faith we profess. 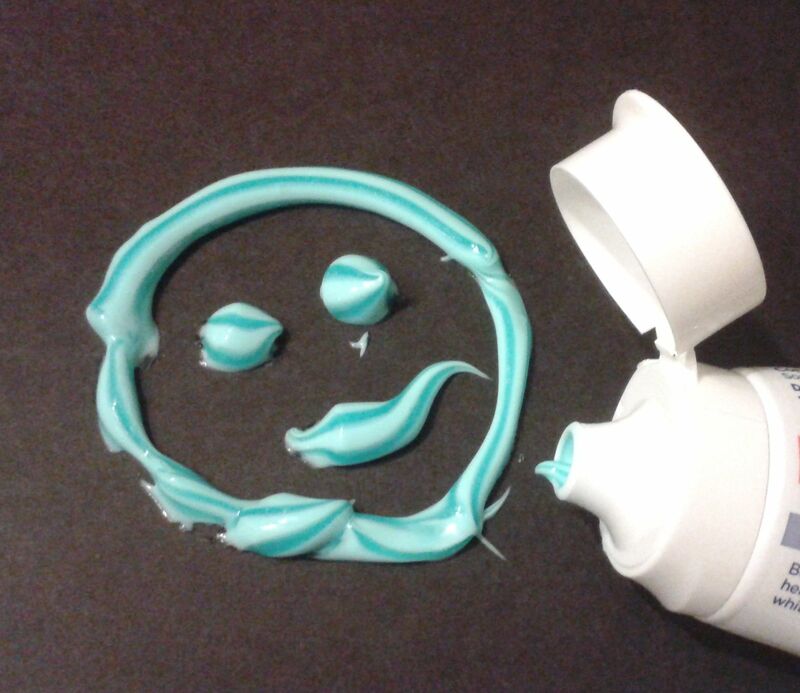 We don’t like the fact that we can’t get the toothpaste back in the tube! In the case presented in our Gospel today, the inability of the chief priests and elders to set aside their own prejudices, jealousies and unwillingness to seek a new heart and a new spirit before God, cost Jesus his life and fulfilled the ultimate expression of God’s love for us all, as is so beautifully expressed in the early part of the Philippians passage. The key, I think, is in the very last words of that passage…’God is at work in us, enabling us to will and to work for his good pleasure’ (Phil 2:13). It is incredibly hard, but we have to give God free reign/rein in our lives, that is our prime responsibility. That’s why as a church we create opportunities for prayer and worship throughout the week, why we’re running the Pilgrim Course, we share fellowship together, collect for the Food Bank, care for the churchyard, seek new opportunities to share the Gospel etc. Of course we have to make sure that we’re allowing Jesus into every hidden part of our lives – that’s our individual, private responsibility day by day, that gives our outward actions integrity. We have to listen to the promptings of the Holy Spirit and then ask for the strength to move forward and make changes in our lives, explain or face difficult truths or toughest of all accept that we can be wrong, and do wrong. After all the cross and resurrection offers us God’s forgiveness and the hope of new life with him, every time we come before him with honesty and ask to start again. He’s the only one that can, metaphorically speaking, put the toothpaste of our lives, back in the tube. Tork roll rope, on which had been written our prayers for the church, made in St. Peter’s Yateley, January 2007. This week I’ve achieved another first in curacy, my first Act of Worship in our local CofE Junior School. The brief was to link the theme of RESPONSIBILITY (joint responsibility, working together in school) to the story of Nehemiah rebuilding God’s people, and the wall at Jerusalem. I found Lesson from Loom Bands 3 over at SPCK Assemblies.org.uk which looked at exactly this story and sort of idea, and told it in a clearer context than the Storyteller Bible version I’d been given. The problem is I am not loom band compliant, so I needed to think of another way of explaining taking individual responsibility as part of a team to make something stronger. My mind when back to 2007 in St. Peter’s Yateley when we created a rope of prayers from lengths of blue and white tork roll! St. Mary’s Old Basing has tork roll which I could plait since I didn’t have the rope-making gadget and quickly achieve a similar effect and demonstrate increased strength. 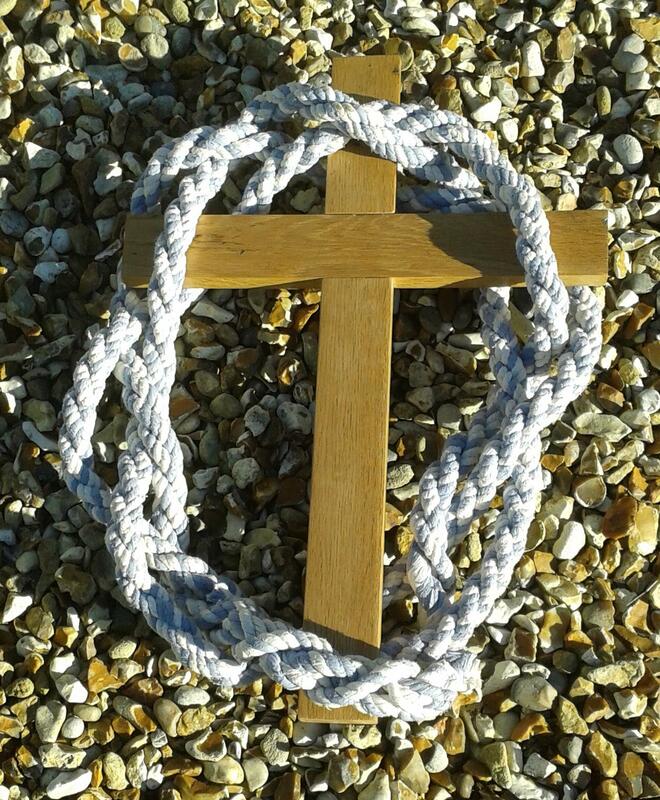 St. Peter’s Yateley said I could borrow the rope woven round a cross, and I fiddled slightly with the Assemblies.org telling of the story to fit it better to the Act of Worship plan at the school, and so I had an Act of Worship! So, here ’tis. If you’re interested in more about the full rope making idea, which features equipment in the shape of a cross, ask me and I’ll blog about that another day. Last week Fr A talked about our responsibility to support people in our community, like you have with your Food Bank donations, and across the world where people may not have enough to eat or clean water to drink. This week, we’re thinking about that word RESPONSIBILITY again, but in a slightly different way. One of the things that this paper needs to do easily is to TEAR, so that when we are washing our hands we can have a piece each to dray them on. 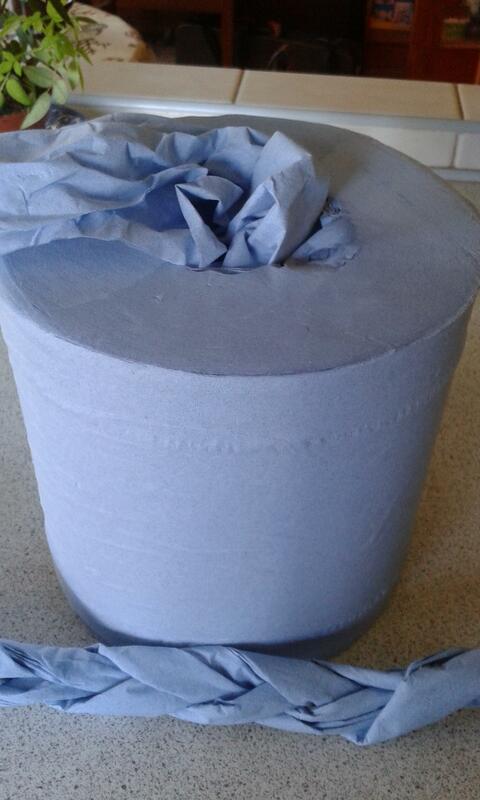 So would we say that this tork roll paper is WEAK or STRONG? Fairly weak. Now, I’ve got 3 LENGTHS OF TORK ROLL here, and we’re going to see if we can do something to make this tork roll STRONGER by several of us WORKING TOGETHER. I used a representative of each year group – 2 boys, and 2 girls. One child hold all three bits of tork roll, gently knotted together. The other 3 children, TWIST your individual length of tork roll just a bit, so it’s slightly more like a piece of string. Now, I need you to PLAIT your three bits of tork roll together. Left over centre, right over centre, keep going… the 3 children moving around each other. Careful remember the tork roll tears easily! After a few minutes plaiting, test the strength of the plaited bit. Shouldn’t tear as easily. BY TAKING RESPONSIBILITY FOR OUR INDIVIDUAL TASK, BUT WORKING TOGETHER, WE MADE SOMETHING THAT WAS WEAK, STRONGER! Show ROPE of tork roll (borrowed from St. Peter’s). Nehemiah had a very important job in Persia (now called Iraq), working for the king, but his heart was in his homeland, in Jerusalem, which is in Israel. He loved his homeland and missed it very much. Some 100 years before Nehemiah was born, some of his people had returned from exile in Persia to their homeland there and had rebuilt the temple. One day, Nehemiah heard that the walls of Jerusalem had not been rebuilt after the many years of armies invading and breaking them down, so most of the people were still living outside the walls rather than inside the holy city. Nehemiah’s people had lost their identity as God’s people. When Nehemiah heard all this, he wept. What could he do? He was only one man and not a builder at that. The King of Persia noticed that Nehemiah was sad, and Nehemiah wasn’t normally, so he asked him what was wrong. Nehemiah explained and the king asked him what he wanted to do. Nehemiah was brave and asked to be sent to rebuild Jerusalem and the king gave his blessing for Nehemiah to go and rebuild the walls of his beloved city. So Nehemiah set off on the long journey home, with some building materials that the King had given him. Once there, Nehemiah toured the city walls by night. He found rubble and stones and burned gates. He thought that his heart would break. Just like a single strip of tork roll! That is exactly what happened. Different families took charge of different sections of the walls. All along the walls, families took up their spades and shovels and got to work. It was a huge task. There were so many repairs that Nehemiah could never have done it all on his own. In working together, sharing the RESPONSIBILITY for rebuilding the walls, the people of Jerusalem had all grown stronger together, as well as now being protected by the finished wall. They had once again found their identity as the people of God, and their joy was very great. So, what did the people end up doing under Nehemiah’s guidance that is like what we did with plaiting the tork roll? Each family took RESPONSIBILITY for a section of wall. Worked together to make the wall STRONGER, where individual efforts hadn’t been enough. I’m going to pray now, and if you want to say at the end that you agree with what I’ve prayed, what do you say? AMEN! Thank you for the story of Nehemiah and his friends. Thank you for our friends and classmates. so that we can make this school a strong, and happy place. Our collection of ‘funny money’ great for telling stories like that of the calling of Matthew! At the beginning of the talk I made sure each child had at least 3 coins each from my family collection of old and foreign money which we call our ‘funny money’ pot. Read the bible story from the Lion’s Children’s Bible. Matthew is a very bad man, collecting money from people to give to the Emperor and keeping some of it for himself. So if I’m Matthew, you’ve got some money, and you’re going to give me 2 coins each to give to the Emperor, yes? Get the coins off the kids. 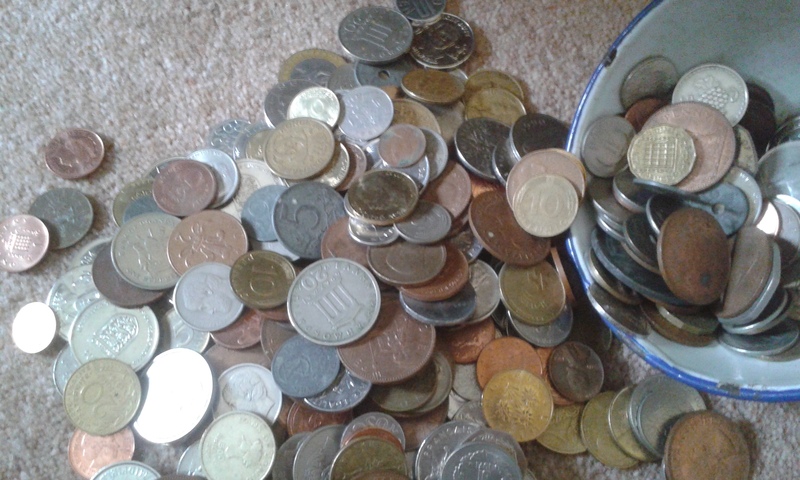 So I’ve got… count coins… and here’s me giving ….. count half the coins…. to the Emperor (set aside), and the rest is mine, right? But what you didn’t know is that the Emperor only asked for one coin from each person, and I made you give me 2 coins each so I could keep the rest for myself! Which isn’t very nice is it. No. Does that make Matthew a bad person? Yes it does! But Jesus asks this bad person Matthew to go with him and be his friend. In fact they even have a party together with a load of Matthew’s friends who possibly weren’t very nice either. People couldn’t understand all this being friends with people who didn’t appear to be very nice, because they took money off the people in their town, and kept some for themselves. Surely if Jesus was a good person he wanted to surround himself with other nice people, not nasty, bad people like Matthew?! Wrong. Jesus deliberately wanted to have people around him who needed to be made better inside. He wanted to make bad people into nice people. He wanted people who were greedy, to understand they needed to become generous. And to help them do that, he wanted to be their friends. Jesus loved the bad people, especially the bad people, even when they had done greedy, nasty things. We’re celebrating the Feast of St. Matthew today because he became one of Jesus’ special friends, someone who saw Jesus after he was killed on the cross and rose again at Easter, and went on to tell lots and lots of other people how the love of Jesus had changed his life. So if I’m playing the part of Matthew, what do you think I ought to do with this money, now I know I’m loved by Jesus, and he’s my best friend? Give it back! Here you are, here’s the money back. Give my share the money back. After the prayer I told the children that if they kept their ‘funny money’ safe until the end of the service I would swap it for some ‘special money’ before they went home if their parents were happy with this. The special money was of course chocolate money, and it meant I got to talk to every single child/family before they went home, and got our ‘funny money’ back for use another day! PS: Sorry about the font changes… WordPress being weird; not used it for a while and stuff had changed, typically!